Labor supports ongoing, rewarding, safe and secure jobs. Insecure work makes it harder for Tasmanian families to meet rising costs of living. Without job security, people worry about paying bills, buying food and have little chance of not just buying, but also renting, a home. Labor is committed to addressing casualisation and outsourcing of work. We would also provide incentives for apprentices and trainees while investing in education and skills that will prepare us for the future of work. Too many Tasmanians are in some form of insecure work. Too many Tasmanians are also underemployed. According to the ABS, around 22,000 Tasmanians want more hours from their employer. Our participation rate remains unacceptably low, which means many people have simply given up looking for work. Labor has engaged closely with unions who work tirelessly to represent the interests of working people. We also enjoy a good relationship with employer groups. We will continue to develop policies that support the creation of safe, secure, well paid jobs in the lead up to the next election. Tackling insecure work requires a joint strategy between State and Federal Governments to plan for the future of work, support full time, permanent job creation and crack down on the deliberate underpayment of worker’s wages and superannuation. Labor supports penalty rates and will work with Federal Labor to ensure that the devastating penalty rate cuts of 2017 for workers in hospitality, retail, pharmacy and fast food are reversed. Labor’s guarantee to retain public assets will keep jobs in Tasmania while growing employment opportunities through better procurement practices and investment in major infrastructure projects. Labor will conduct an Inquiry into Labour Hire Practices, Trade Licencing and Wage Theft in the Tasmania. Labor will introduce presumptive Post-Traumatic Stress Disorder legislation for frontline first responders. Labor will conduct detailed consultation with industry and unions to inform the introduction of industrial manslaughter laws. Labor is committed to the introduction of a portable long service leave scheme for community services, aged and disability care, contract cleaning and contract security. 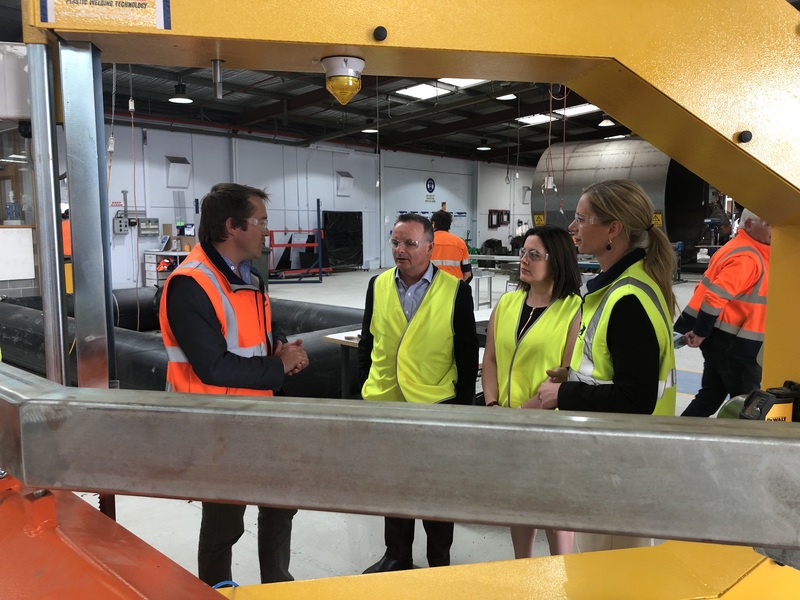 Labor has established eight Industry Advisory Councils (IACs) representing key sectors of the Tasmanian economy. Labor will work constructively from opposition, empowering each IAC with direct input into the development of policy that supports economic activity and jobs growth. We are committed to working with industry and other key stakeholders to develop policies that will make a real difference when implemented in government.